The highest mountain in Japan at 3,776 metres, Mount Fuji is world-renowned for its impressive cone shape. It provides a great subject for photography, especially during winter when its cap is covered in snow. It is also a popular destination for climbers and hikers during the summer months. There are hundreds of castles in Japan, and many of them are several centuries old (Inuyama Castle, Hikone Castle, Matsue Castle). Some have been reconstructed (Osaka Castle, Kanazawa Castle, Takamatsu Castle), and a few remain in their original states (Matsumoto Castle, Himeji Castle, Bitchu Matsuyama Castle). Considered to be one of the best in the world, Japanese cuisine includes a wide selection of delicious and mouth-watering dishes that both locals and foreigners love. The country is home to many food stalls, kiosks, diners and restaurants that serve various local specialties, from ramen and Japanese curry to onigiri and Kobe beef. If you are travelling to multiple cities around Japan, the fastest and most convenient mode of transportation to take is the Shinkansen, or bullet train. What used to be an eight-hour train journey between Tokyo and Osaka several decades ago, now takes less than four hours with the Shinkansen. 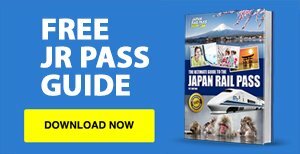 You can use your Japan Rail Pass to ride the Shinkansen. Kyoto Prefecture is home to 17 UNESCO World Heritage Sites, including the “big three” temples (Kiyomizu-dera, Ginkaku-ji, Kinkaku-ji), Nijo Castle, Kamigami-jinja Shrine, and Ujigami-jinja Shrine. Spending at least one night at a Buddhist temple gives you a glimpse into Buddhist monks’ day-to-day lives — sleeping in traditional Japanese rooms with tatami floors and sliding doors, waking up early to pray, eating vegetarian meals, participating in tea ceremonies, and more. The displays of cherry blossoms and autumn leaves are arguably two of the most popular tourist attractions in Japan. Every year, throughout the country, these events see dense crowds, especially at the prime viewing spots. There are several onsen or hot spring towns all over Japan, and many tourists flock to these places to experience a relaxing dip in the therapeutic, natural thermal waters. While you can visit an onsen any time of the year, it is highly recommended to go during the winter, so as to experience soaking in the waters while everywhere is covered in immaculate white snow. With a long history in Japanese culture, sumo is a traditional sport that remains popular in Japan. There are a number of places in the country that hold regular sumo tournaments, such as the Ryogoku Kokugikan in Tokyo. There are different kinds of museums found in Japan. They cater to various interests and subjects such as history, modern and contemporary art, ancient weapons and tools, trains and railway network, manga and anime, samurai and ninja, and more. Tokyo and Osaka are two major shopping hubs in Japan, with numerous large shopping malls, stores, boutiques and department stores that sell a wide selection of clothes, shoes, bags, electronics, books and other merchandise. Wearing kimono and yukata, both of which are traditional Japanese garments, is a common activity that both locals and foreigners enjoy; experiencing what it is like to be dressed in these beautiful, elaborately designed items of clothing. In certain districts in the country, such as in Asakusa and Kyoto, tourists can rent kimono and yukata and walk around the streets. Located in Kyoto, the Fushimi Inari-taisha is a shrine that is found on Mount Inari. The hike up to the head shrine takes about two hours, passing through tunnels made by the countless torii gates and passing by many mini-shrines. Hiroshima and Nagasaki are home to Peace Parks that commemorate the tragedy and devastation brought by the atomic bomb attacks on both cities during World War II. Baseball is Japan’s most beloved sport. It has a solid professional league and players who are much respected on the international stage. To watch a game, you can simply buy a ticket at the venue on game day itself, except on weekends, holidays and during the playoffs, when tickets tend to sell out. Japan is an archipelago made up of several thousands of islands that are home to countless gorgeous white sand beaches, where you can swim, snorkel, dive, or just marvel at the amazing untouched scenery. The islands of Okinawa, for instance, are among Japan’s top-rated scuba diving destinations. Japan has many mountain ranges, so it has a variety of options when it comes to skiing and other snow activities. Nagano and Hokkaido in particular are the first places that come to mind as both are surrounded by majestic alps that provide world-class snowboarding and skiing slopes. During winter, Hokkaido’s northeastern coast is filled with drift ice, and it has become a popular tourist destination for anyone who wants to experience walking on these solid blocks of ice in -6 degree weather. Japan observes many festivals all year round, whether it is to honour a deity or to observe an important event in the country’s history. Examples of the biggest Japanese matsuri are Kyoto’s Gion Matsuri, Sapporo’s Yuki Matsuri or Snow Festival, and Shikoku’s Awa Dori. Made by fermenting rice, sake is a trademark Japanese alcoholic beverage. It is popularly served in many restaurants and dining establishments, and can also be bought at supermarkets and specialty shops. Its ingredients include food quality rice, yeast, koji mould and water, all of which undergo fermentation, a practice that has been around for many centuries now and continues to be an important part of the Japanese culture. You can drink it hot or cold.